There are many types of friction welding methods that can optimize your manufacturing process. In this article, we will review several different types. Understanding these different types will help you decide which can increase precision and reduce total cost and cycle time for your application. Before we break down the different types, let’s define the solid state welding process known as friction welding. Solid state welding refers to welding processes that don’t use external heat. Instead, external pressure is applied to a solid state to form the weld. In friction welding, the workpieces to be joined rotate relative to the other. This movement creates friction, which heats the materials at the contact surfaces. A high pressure force is applied until the welding cycle is complete. 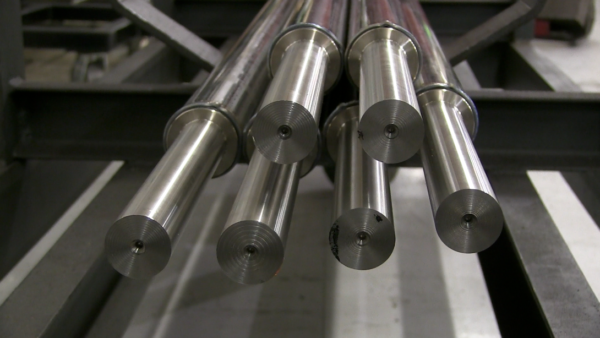 Friction welding can be used to join a variety of metal (such as steel and aluminum) bars and tubes exceeding 100 mm in diameter. Friction welding works by following the fundamentals of friction. The process uses friction to create a plastic-forming heat at the weld interface. For example, the friction heat created on steel is usually around 900–1300 degree centigrade. After the appropriate temperature is achieved, an external pressure force is increasingly applied until the workpieces form a permanent weld joint. While there are several different friction welding types, they all follow a common working principle. First, one workpiece is placed in a rotor-driven chuck, while the other is held stationary. The rotor allows the mounted workpiece to rotate at high speeds. A pressure force is applied to the stationary workpiece, bringing it into contact with the rotating workpiece. When the workpieces touch, a high friction force is created and generates significant heat on the surfaces in contact until the two materials soften, also referred to as plasticizing. Once the materials reach a plasticized state, a higher forging pressure is applied to the static piece, forcing the two materials to meld together. After the parts meld together and the interface begins to cool, the rotor stops once the temperature reduces and the materials re-solidify.. The forging pressure is maintained for a few seconds and then released, at which time the weld is completed. What is inertia friction welding? Inertia friction welding features different sized flywheels that are attached to the chuck and spindle shaft. A motor is connected to the spindle shaft to rotate the part. At the start of the welding cycle, the motor is connected to the spindle shaft and rotates the part to the desired rotational speed. Once the desired speed is achieved, the motor is disconnected from the spindle shaft. Based on the weight of the part, spindle shaft, chuck, and flywheels, a rotational inertia is created by the free spinning components. At this point the frictional welded process as described above takes place, utilizing the rotational inertia to create frictional heat when the parts are brought together.. Learn why you should combine inertia welding with CNC machining. In this process, the spindle drive motor is permanently attached to the spindle shaft. The motor continues to drive the rotating part as the two pieces are brought together, thus creating the frictional heat. 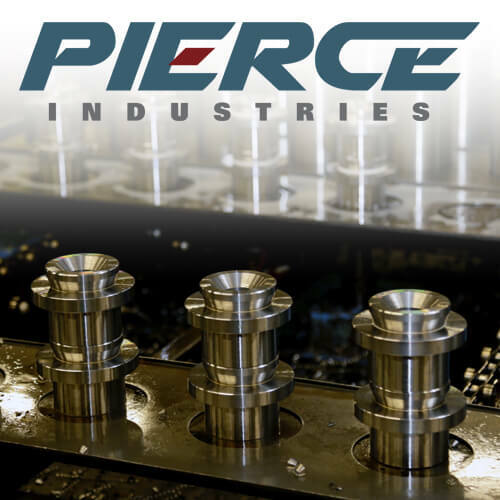 Based on a defined CNC program, the spindle is continuously slowed as the welding process takes place, stopping the spindle at a pre-determined point. This type of friction welding is beneficial when a specific orientation between the welded components is desired. This process is similar to inertia friction welding; however, the moving chuck doesn’t spin. Instead, it oscillates in a lateral motion. The two workpieces are held under pressure throughout the entire process. This process requires the workpieces to feature a high shear strength and involves more complicated machinery than inertia welding. One benefit of this method isit offers the capability to join parts of any shape (instead of just circular interfaces). FSW is a solid-state joining process that uses a non-consumable tool to join two facing workpieces. Heat is generated by friction between the rotating tool and the workpiece material, which leads to a softened region at the interface. While the tool is traversed along the joint line, it mechanically intermixes the softened material of the two pieces of metal, and forges the weld interface through mechanical pressure applied by the tool. FSW is used in modern shipbuilding, trains, and aerospace applications. Orbital friction welding is similar to rotary friction welding, but both of the welded parts are rotated in the same direction and at the same speed, but their axes offset by up to 1/8”. 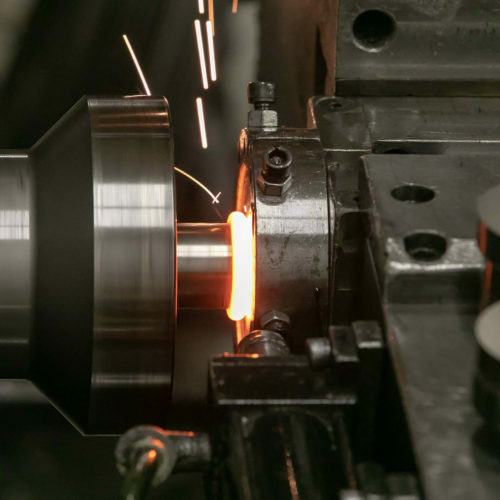 As the weld cycle is completed and the rotation is slowed, the parts are returned to the same axis, and the forging pressure is maintained while the materials re-solidify. 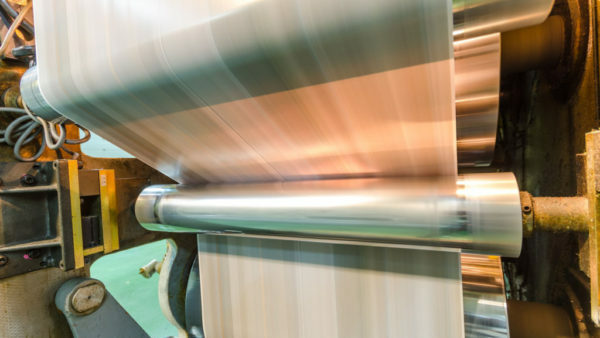 Friction welding can be used to build better industrial rollers, tubes, and shafts. The process is often used to manufacture these subassemblies for industrial printers, material handling equipment, as well as automotive, aerospace, marine, and oil applications. 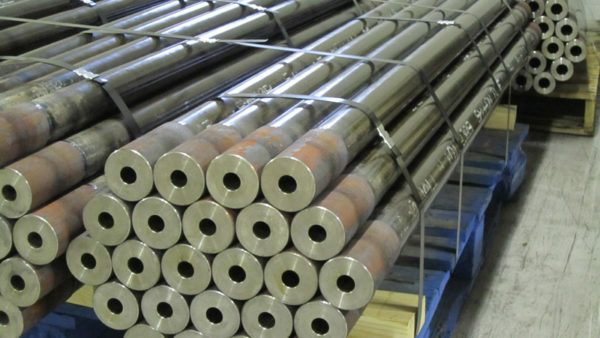 Other examples of components include gears, axle tubes, drivelines, valves, hydraulic piston rods, truck roller bushes, pump shafts, drill bits, connection rods, etc. Friction welding is an eco-friendly process that doesn’t create smoke or release other harmful toxins into the atmosphere. Next, it offers a lot of control over the heat-affected zone, which reduces change to material properties. It also doesn’t require filler metal (which saves cost on raw material). Last, friction welding offers simple automation, fast speeds, efficient welds, and the ability to combine a variety of metals. Ready to Start Friction Welding? If friction welding sounds like it could benefit your application, please contact us. 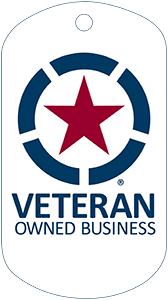 During our conversation we can discuss which type of friction welding might be your best option and if we are the best-fit provider to inertia weld your subassemblies.